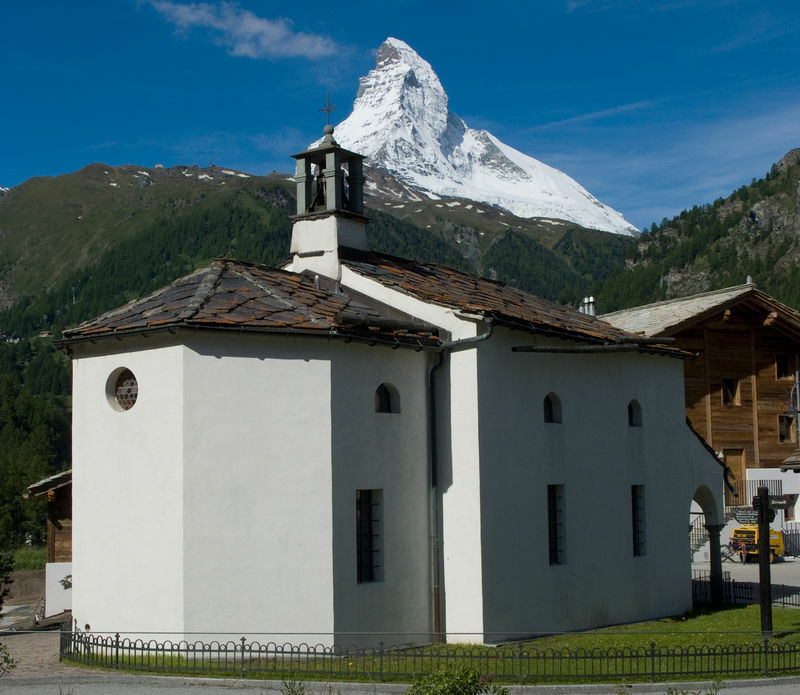 Built in 1607, the chapel is a smaller-scale copy of the old village church and probably late reparation by the people of Zermatt to the residents of Winkelmatten. The story goes that the hamlet of Winkelmatten was almost given the honour of hosting the parish church. 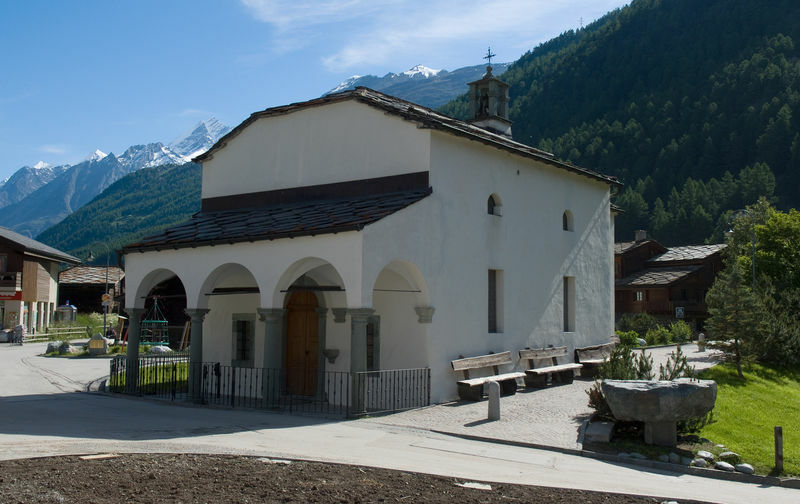 But things worked out differently: the crafty people of Zermatt are said to have moved the tools that were already standing on the construction site into the village during the night and, the next day, told the nonplussed inhabitants of Winkelmatten that this must be a supernatural sign and an expression of divine will. The showpiece of the chapel is the baroque altar, carved from Swiss stone pine by Anton Sigristen in 1730. The Holy Family stands in the centre of the retable. A shell opens above each of the statues of Joseph and Mary; above the Child Jesus are angel heads and a crown, from which a graceful Madonna emerges. Two twisted pillars wreathed with acanthus garlands form a frame for the Holy Family on both sides. The pinnacle of the richly gilded altar consists of clouds, rays of light and ornaments. Two angels open the curtains of a baldachin, revealing the Holy Spirit as a dove with nimbus and the round window behind. 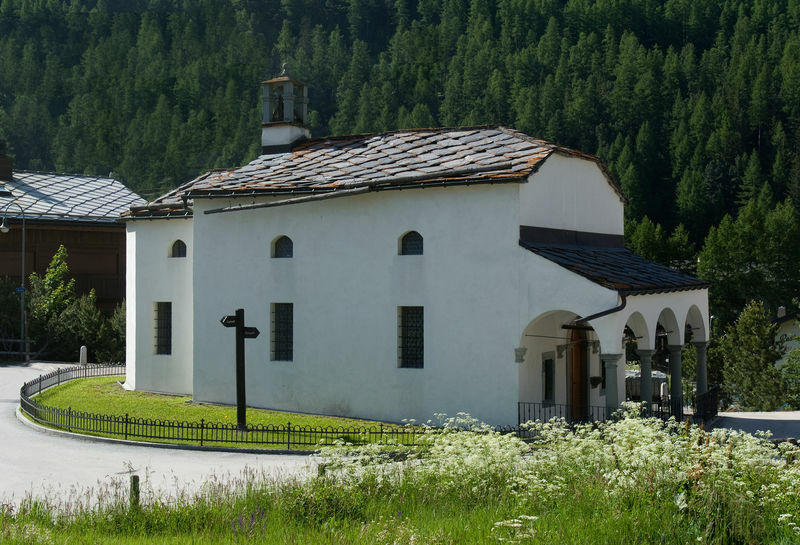 An old custom has made this chapel into a popular place of pilgrimage for young couples. For Carnival, the young men of Zermatt would each seek out a young woman with whom to dance and celebrate the “old Carnival”. If they went to Winkelmatten together on the feast day of St Joseph, their mutual obligations were over. But those who walked to Winkelmatten together once again on Easter Sunday were considered to be all but married. “Zermatter Sagen und Legenden”, by Karl Lehner, 1982, available from the ZAP bookshop in Zermatt.